With three weeks left in the regular season, MLB's playoff picture is coming into focus and the Chicago Cubs are a heavy favorite to finally end their World Series drought. The Cubs have a 20% chance to win the World Series, according to Nate Silver's model at FiveThirtyEight. No other team has more than a 14% chance. Of course, this also means the Cubs have an 80% chance to not win the World Series, but we don't want to jinx anything. 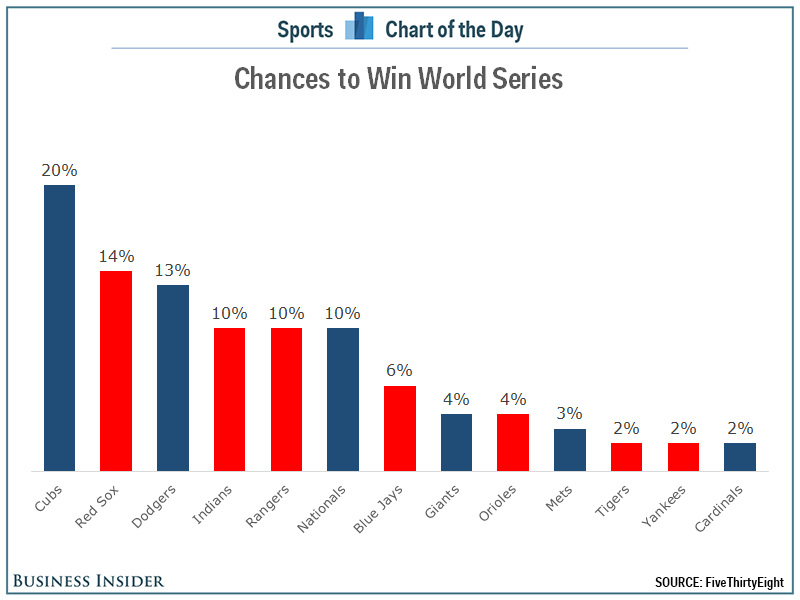 In all, there are still 13 teams with at least a 1% chance of being crowned World Series champs.